Deutsche Börse Venture Network adds Swiss p2p lending marketplace Cashare to its program. The program by the German stock exchange is designed to aid innovatice companies to get better access to financing from investors. 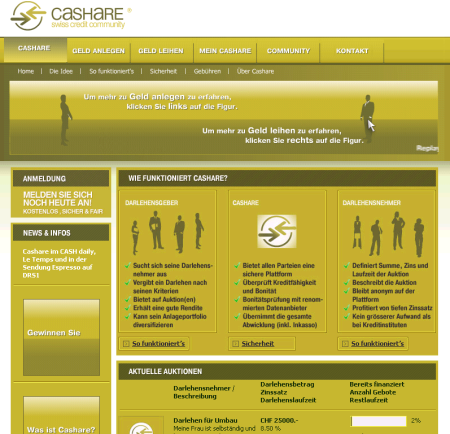 Cashare was established in 2008 and facilitates loans to consumers and SMEs in Switzerland on its marketplace. According to the website 1,111 loans have been financed. Due to regulatory reasons each loan can be financed by a maximum number of 20 different investors. In Switzerland P2P Lending Service Cashare announced that it plans to be one of the web service pioneering the use of SuisseID a digital signature. Documents signed with this digital signature are as binding as a conventional signature on paper. Several European countries (e.g. Italy, Spain, Germany, Belgium) have enacted laws that equate digital signatures with conventional signatures. automate processes that otherwise would require a signature on paper and enable paperless process chains. One of the biggest challenges for a new internet startup to offer an innovative financial service is to gain the trust of its potential customers. Consumers approach new concepts with legitimate caution. The book ‘P2P Kredite – Marktplätze für Privatkredite im Internet‘ examines how p2p lending services can address the uncertainties and what measures can be used to build trust. After a short introduction of how p2p lending works and a look at Cashare, Smava, Zopa and Prosper the author covers the aspects credibility, safety, reputation, guarantee, sanctions, information and communication. Fabian Blaesi also describes how community features can help. In an empirical study the importance of several factors for the perception and acceptance of p2p lending services by lenders is quantified. The book is available at Amazon.com, Amazon.co.uk, Amazon.de and Amazon.co.jp. 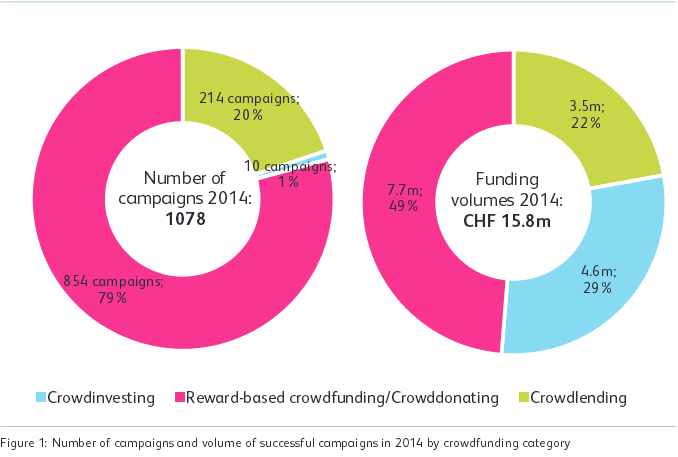 Swiss Cashare.ch recently launched as the first p2p lending platform in Switzerland. The company, owned by Michael Borter (link to German language interview) and Roger Mueller has partnered with the collection agency C&S Credit Management AG, which handles all monetary transactions. Interest rates and loan durations are set by borrowers and lenders bid in a 14 day auction (minimum bid amount is 500 CHF which is approx 500 US$). If the loan is fully funded further bids in the remaining auction period will cause the interest rate to drop in 0.1 percentage steps, while old bids are outbid. This results in borrowers having to pay even if their loan does not fund. An unusual point in the process is that lenders have to sign a written contract for each successful bid and send it via postal mail to Cashare. That seems a bit uncomfortable to handle. As Cashare launched only recently there currently are only 4 active loan listings. If you have used Cashare as a borrower or lender, please share you experiences in the forum. Thank you.